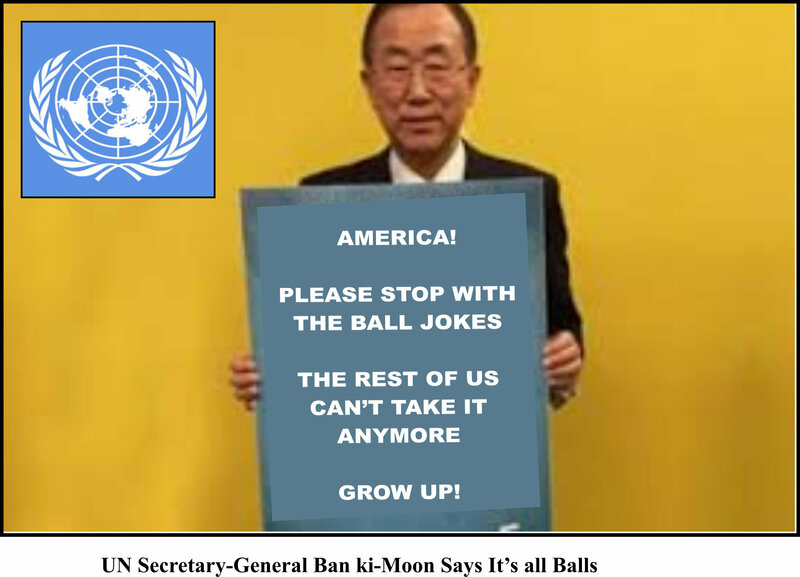 UN’s Ban Ki-moon pleads for immediate cessation of deflated ball jokes. 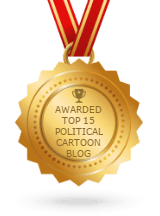 The resolution cited 13,227 testicle jokes heard on American TV since 20 January, when the New England Patriots were accused of lightly but illegally deflating their footballs. Accompanied by smirks, sniggers, giggles, nervous laughter, twisted smiles, rolled eyes and many a flushed cheek, single-entendre deflated ball jokes have become epidemic across the media. Also infected are words like wrinkled, soft, hard, touch, squeeze, handle and Tom Brady. 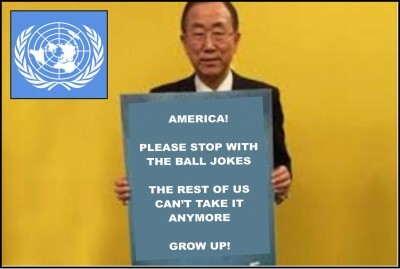 The only countries abstaining from the UN resolution are from the Middle East. Led by Saudi Arabia, they have offered an amendment denouncing all ambiguous language as contrary to Sharia law, punishable by the removal of the offender’s testicles by forceps, peace be upon them.